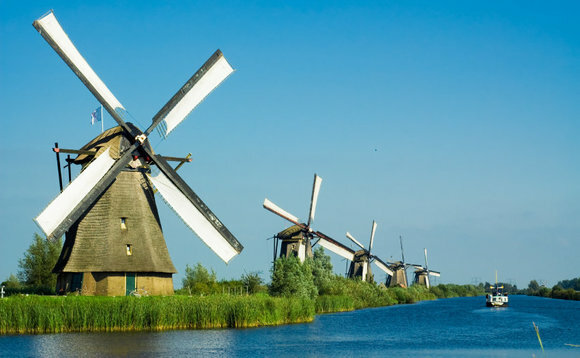 Mortgage funds in the Netherlands grew +81% in 2014, due to a combination of increased demand from institutional investors and achieved price gains, contributing to an overall growth of 0.6% to €748 of assets managed by Dutch investment funds. While bond- equity and hedge funds saw net withdrawals, mortgage funds great by €08.bn to a total of €6.7bn in the fourth quarter of 2014, according to the latest data provided by the Dutch Central Bank DNB. 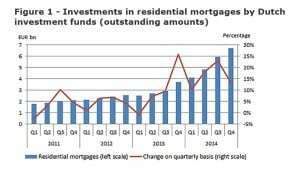 The data is specifically centered on residential mortgages, with pension funds extending residential mortgage loans through these investment funds. While the Dutch housing market recovered relatively slowly from the impact of the 2008 recession, average house prices in the Netherlands rose by 0.9% over the last year. The overall growth of investment funds was curbed by net withdrawals of €9bn in the fourth quarter of 2014. It I the first time in three years that the sector has seen withdrawals, these were largely due to transfers and rebalancing of investments by pension funds. Bond funds saw withdrawals of -€7.1bn, equity funds by -€4.5bn and hedgefunds by -€1.5bn.